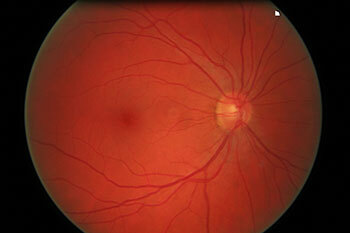 Digital retinal photography is an amazing tool that takes an instantaneous photograph of the inside of your eye. Together with your Optometrist you can explore the image and discuss any concerns. Your Optometrist will explain what you are looking and why it is so important to have a regular eye health check. Retinal photographs are stored on our computer database and give an accurate and permanent record of the appearance of the retina at the back of your eye – so that any changes can be compared, years later, and small differences observed much sooner. This is invaluable in picking up early signs of disease, such as in glaucoma or diabetic retinopathy, often before symptoms and before changes are significant enough to be identified on a routine check. New or changing pigmentation or pathology is also easily monitored, and sometimes it’s nice just to be reassured that all is well. Early diagnosis means earlier treatment limiting any potential damage to sight. 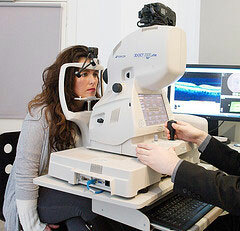 Why not book a retinal photograph at the same time as your eye examination? It only takes a moment and no drops are required. The process is so simple that it is also available to children. Digital Retinal Photography cost only £10, and only £6 if booked with your sight test.